I was born and raised in the Midwest. I still live in the Midwest. I have no pending plans to leave the Midwest. I love the Midwest for lots of reasons. But the Midwest does not have In-N-Out Burger. 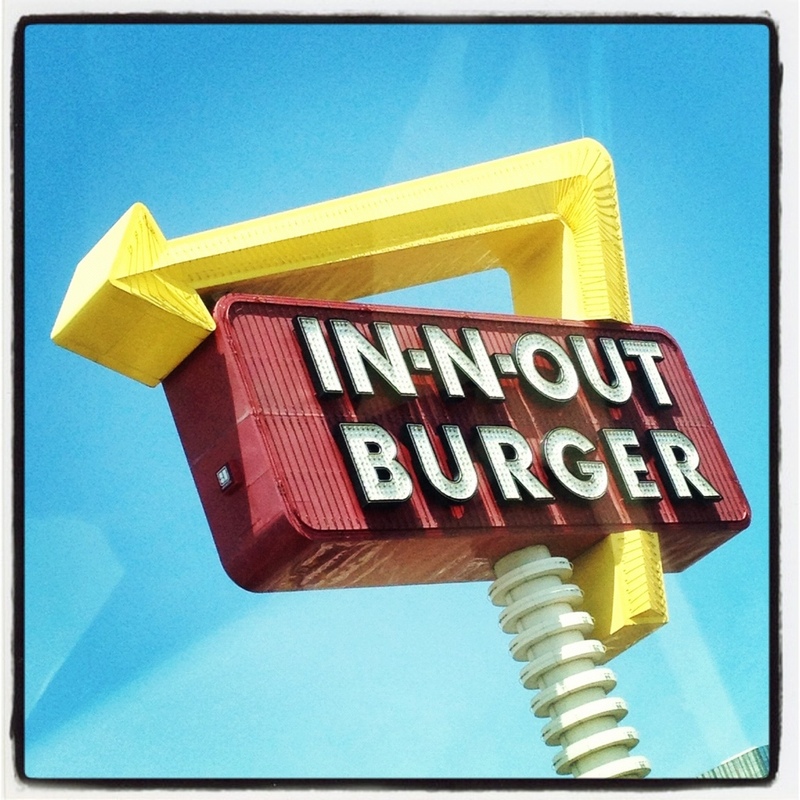 And the Midwest, as far as I know, is not planning on ever getting In-N-Out Burger. So I am not holding my breath waiting for this stupendous non-event. But I am allowing myself to be disappointed because In-N-Out Burger is very good for the soul of people who have a hard time making decisions. People who freeze up in the hair-care aisle. People who are paralyzed by the bread section. People who would rather eat glass than deal with all the tooothpaste, deodorant, margarine, and peanut butter possibilities. People who view extensive restaurant menus with all the joy of extensive dental work. People who want all the details of life to be perfect and so get caught in a tangled web of over-analysis (that, let’s be honest, does not always result in the expected perfect payoff). Evaluating relative artistic value of product packaging. It’s enough to send a person Over The Edge. Burger, please. With fries. And a medium drink. And also a sticker. So that I can remember the mental ease of this place. Thank you. The end.